A lot of discussions are going on after the Paris climate agreement. There is no doubt that this agreement is not enough to secure a future for both people and nature. It is also absolutely sure that the target of limiting temperature increase to 1,5° C degrees, promoted by Small Island States, was the right choice to take. But sometimes having a deal is more important. And having a global deal is a historic step forward. But now the real work is ahead of us to ensure implementation, strong commitments and more ambition. And there’s also much more to do to elevate the Ocean’s potential as a climate solution. 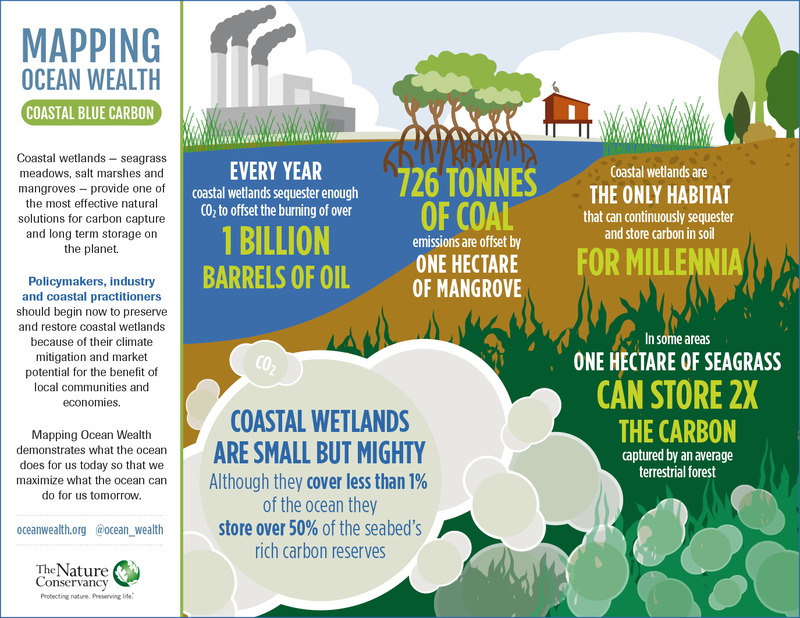 We know that natural solutions – ecosystems including barrier islands, coastal wetlands, oyster and coral reefs and mangroves – provide important buffers that reduce the effects of storms and sea-level rise. We know, for example, that coral reefs can mitigate 97% of wave energy. We also know that these habitats provide critical benefits for fisheries, water quality and ecotourism revenue. At The Nature Conservancy, our goal, by 2020, is to shift 10 percent of global coastal infrastructure investment — approximately $10 billion — to natural infrastructure solutions. Now we have to put these plans in to action, to advocate for the ocean to have a central role in Marrakesh and beyond, to continue the Paris dialogue that fundamentally shifts the way we discuss climate and nature. Explore The Nature Conservancy’s latest thinking, science and solutions on climate and ocean conservation.